Let the Fourth of July festivities begin! 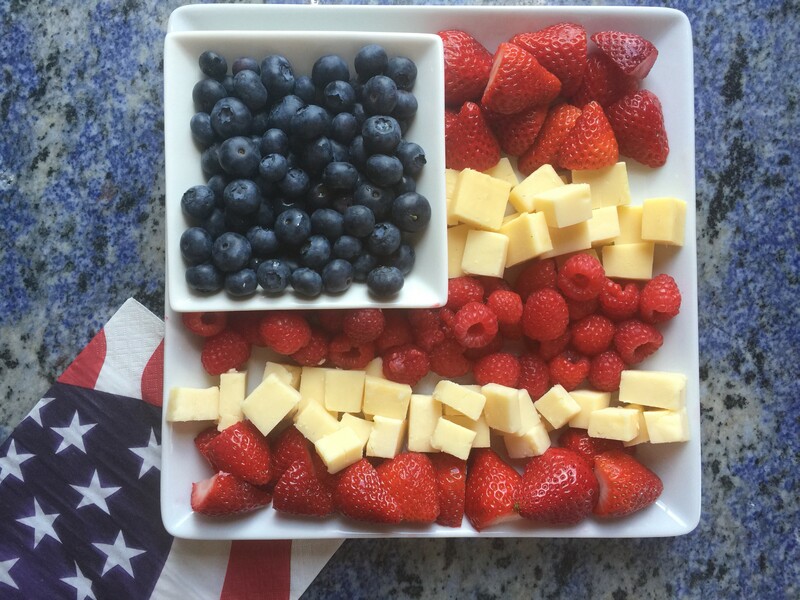 There’s no better way than enticing your guests with this great 4th of July themed platter before the barbecues and main dishes start. Serve with crackers and toothpicks. Place the blueberries in a separate small bowl. Then place the small bowl in the corner of a square platter or plate. Make alternating red and white stripes on the large platter. Starting with the strawberries, then the cheese, then the raspberries, then more cheese, and finally finish off with the last row being strawberries. 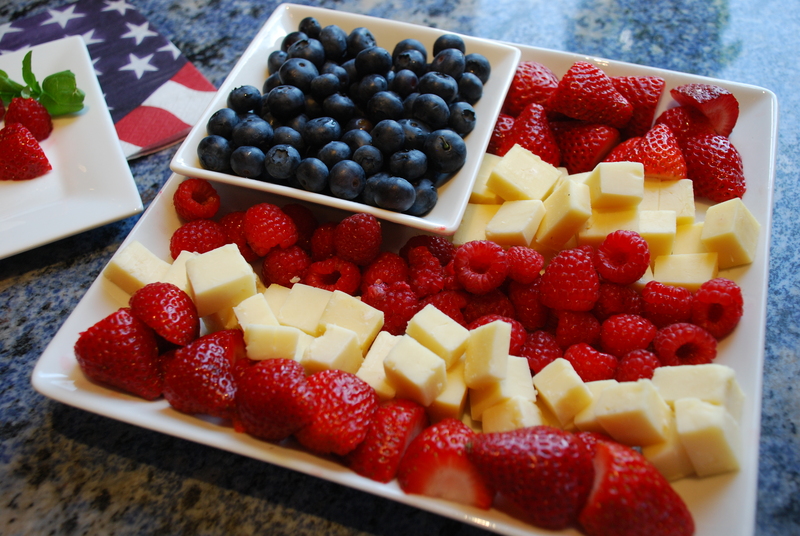 This week I will posting healthy creative Fourth of July themed recipes to serve at those holiday parties or to even just enjoy on your own!